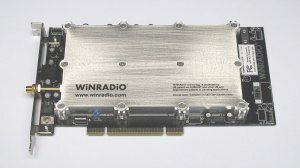 The WiNRADiO WR-G313i is a software-defined high-performance HF receiver (9 kHz to 30 MHz, optionally extendable to 180 MHz) on a PCI card. The WR-G313i has its own sound card built-in, thus does not require an external card. This entry was posted in Made in Australia, Software-Defined Radios (SDR), WiNRADiO and tagged Made in Australia, Winradio, WiNRADiO WR-G313i, WiNRADiO WR-G313i Reviews, WR-G313i. Bookmark the permalink.